The 2018 edition of the biennial conference of the South African IEEE, Joint Chapter on Antennas and Propagation (AP), Microwave Theory and Techniques (MTT) and Electromagnetic Compatibility (EMC), will be held in Stellenbosch on August 30 and 31, at the Stias Conference Centre. This conference brings together engineers and researchers from industry and academia who work in fields related to AP, MTT, and EMC in South Africa. All conference contributions will be by invited presenters, including a few international, plenary speakers. The conference is organized by the South African IEEE Joint AP/MTT/EMC Chapter. See the conference website for further details. 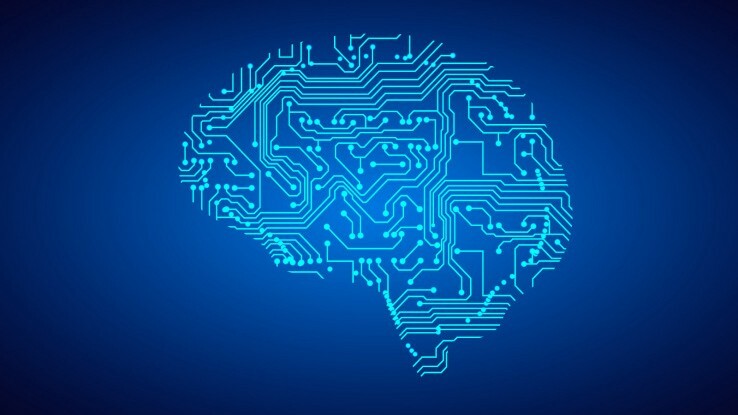 The Deep Learning Indaba was formed as part of an insentive to strengthen state-of-the-art machine learning research and application in South Africa. We are very proud to announce that this year the Indaba is coming to Stellenbosch from 9-14 September. Applications are closing the 30th of April and can be made online. Hope to see you there! On 15 November, 2017 the final year EE students showcased their final year Skripsie projects. The innovation that was illustrated by these young Engineers was absolutely breathtaking. Here are some pictures of the day. We would also like to congratulate our representative, Ryan Eloff that represented us on 6 December at the annual Jac van der Merwe Competition for Innovation, sponsored by MultiChoice. His final year project was entitled, Teaching a robot to interpret natural language navigation instructions. 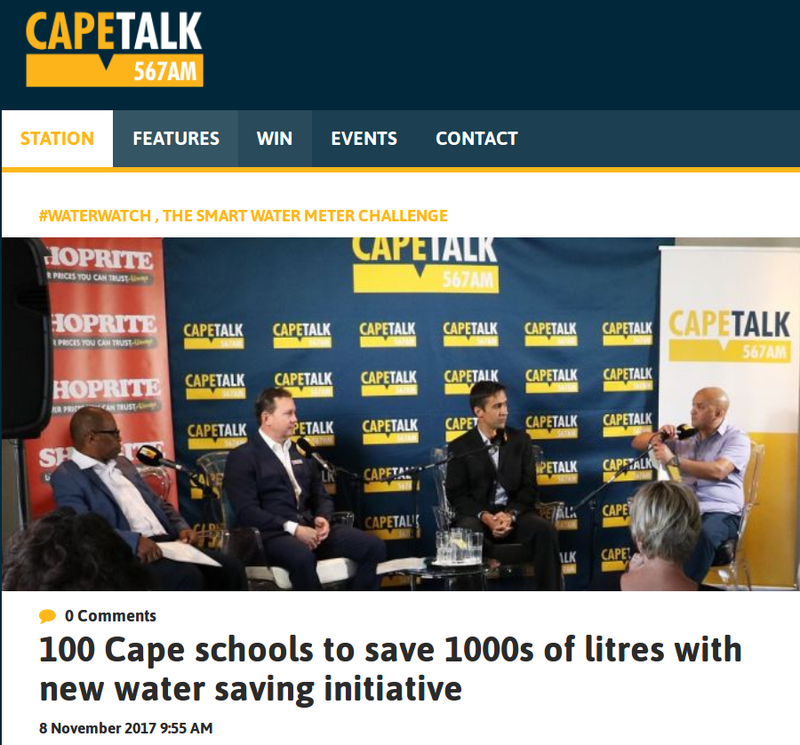 CapeTalk and Shoprite have partnered in a special campaign aimed at saving water at schools across Cape Town. The campaign involves the installation of a special water monitoring device called the Dropula, at schools. This device is designed by Prof Thinus Booysen, a lecturer at Stellenbosch University. The Dropula monitors water usage and flow. It is a smart meter that attaches to the municipal meters that supply the school. The information is disseminated and sent to the teachers, head masters and the children for them to see their consumption level. The school will also have access to a dashboard which alerts them to a sudden changes or problem with water usage or flow. Once there’s an alert a maintenance team is dispatched to the site (school, business etc) to pinpoint the fault. The device has been installed in 6 schools to date. You can read more about the water saving initiative for the schools at www.schoolswater.co.za. 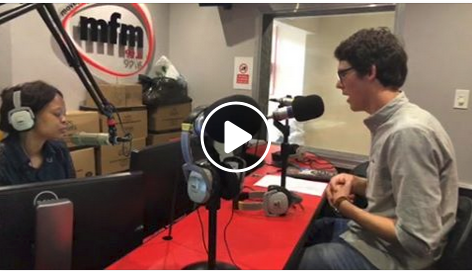 Have a look at the interview on Cape Talk. You can also read more about Prof. Booysen’s company behind the Dropula at www.bridgiot.co.za. The Minister of Higher Education and Training, Dr Blade Nzimande, MP, has gazetted the National Scarce Skills List: Top 100 Occupations in Demand and called for comments from all interested parties. Electrical engineers are listed first on the list, followed by civil engineers and mechanical engineers. 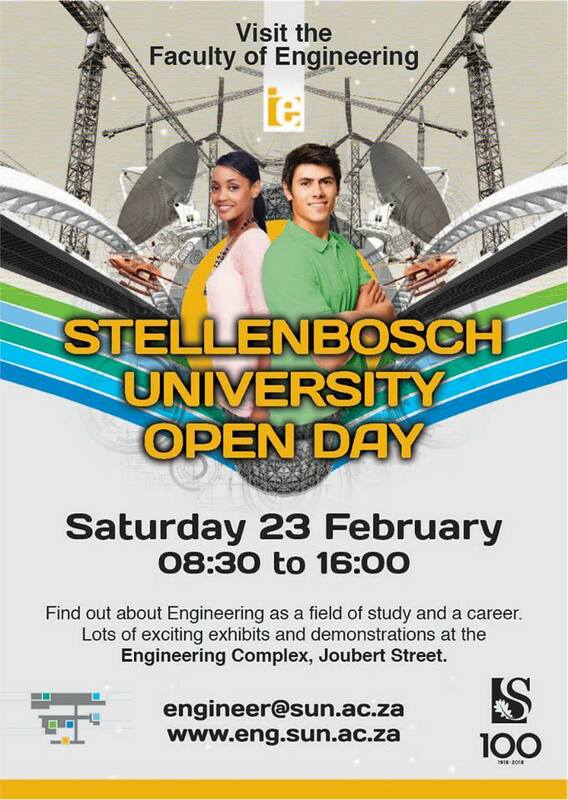 Post by Electrical & Electronic Engineering – Stellenbosch University. “Hierdie prys kry jy net een keer in jou lewe!” sê prof Maarten Kamper van die Department Elektriese en Elektroniese Ingenieurswese. Hy en sy PhD-student, Johannes Potgieter, het onlangs die eerste prys ontvang op ’n internasionale konferensie vir hul artikel oor ’n nuwe soort windgenerator. Die Elektriese Masjienekomitee (EMC) onder die Vereninging vir Industriële Toepassings (IAS) van die Instituut vir Elektriese en Elektroniese Ingenieurs (IEEE) het die toekenning gemaak by die IEEE se internasionale Energie-Omsetting Konferensie en Uitstalling (ECCE) wat onlangs in Denver, Colorado gehou is. Hierdie flagskip-konferensie van die IEEE het vanjaar 1 300 afgevaardigdes gelok. Die artikel-toekenning, eerste prys, is toegeken vir die tegniese bevoegdheid van hul artikel, Optimum design and technology evaluation of slip permanent magnet generators for wind energy applications, wat tydens die ECCE konferensie in Raleigh, North Carolina in 2012 aangebied is. (By ECCE konferensies word artikels na afloop van die konferensie evalueer en word pryse by die volgende jaar se konferensie toegeken.) Hul wen-artikel het gehandel oor die optimale ontwerp en evaluasie van ’n komponent van ’n nuwe tipe glip-sinchroon permanente magneet windgenerator waaroor in 2010 vir die eerste keer publiseer is. “Hierdie nuwe tipe windgenerator verskil van die konvensioneles in dié opsig dat dit geen ratkas of drywingselektronika-omsetter nodig het nie. Daar is groot voordele verbonde aan die afwesigheid van ’n ratkas en ’n drywingselektronika-omsetter aangesien dit die betroubaarheid asook die koste van die lewensiklus van die windgenerator verbeter. Ons werk al sedert 2009 aan die konsep,” sê Johannes Potgieter. Hierdie unieke stelsel is al op die SA navorsingsbasis op Ararktika getoets waar dit goed gewerk het. Tans word twee 15 kW-prototipes op ’n windturbinetoetsterrein op Mariendahl, een van Universiteit Stellenbosch se proefplase, getoets. Die krag wat die generators opwek, word deur die proefplaas gebruik. Die tegnologie is gepatenteer en ’n afwentelmaatskappy, SWET (Stellenbosch Wind Energy Technology), is gestig om die tegnologie te kommersialiseer. Die hoofaandeelhouers is INNOVUS en die Tegnologie-Innovasie-Agentskap (TIA). Op die foto links is een van die twee windgenerators wat tans op Mariendahl getoets word. Op die foto regs staan prof Maarten Kamper en Johannes Potgieter by die nuwe tipe windgenerator, elkeen trots met ’n wensertifikaat in die hand. ~~~~~~~~~~~~~~~~~~~~~~~~~~~~~~~~~~~~~~~~~~~~~~~~~~~~~~~~~~~~~~~~~~~~~~~~~~~~ A once in a lifetime prize. This is how prof Maarten Kamper of the Department of Electrical and Electronic Engineering described the first prize he and his PhD student Johannes Potgieter received for their article on a novel type of wind generator at an international conference recently. The Electrical Machines Committee (EMS) under the Industry Applications Society (IAS) of the Institute of Electrical and Electronic Engineers (IEEE) made this award at the IEEE’s international Energy Conversion Congress and Exposition (ECCE) held in Denver, Colorado. This year some 1 300 delegates attended the IEEE’s flagship conference. The article award, first prize, was awarded for the technical competence displayed in the article, Optimum design and technology evaluation of slip permanent magnet generators for wind energy applications, that was presented at the ECCE conference in Raleigh, North Carolina in 2012. (At ECCE conferences articles are evaluated after the conference, with prizes being awarded at the following year’s conference.) The winning article dealt with the optimum design and evaluation of a component of a new type of slip-synchronous permanent magnet wind generator. Their first publication on this subject appeared in 2010. “This new type of wind generator differs from the conventional kind in this respect that it does not need a gearbox or a power electronic converter. 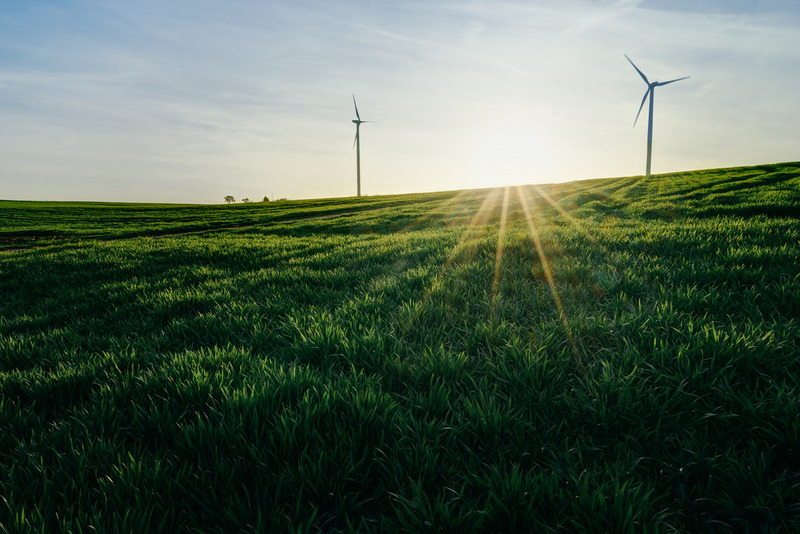 There are great advantages attached to the absence of a gearbox and power electronic converter as this improves the reliability and the life cycle cost of the wind generator. We have been working on this concept since 2009,” says Johannes Potgieter. This unique system has already been tested on the SA research base in Antarctica where it performed well. 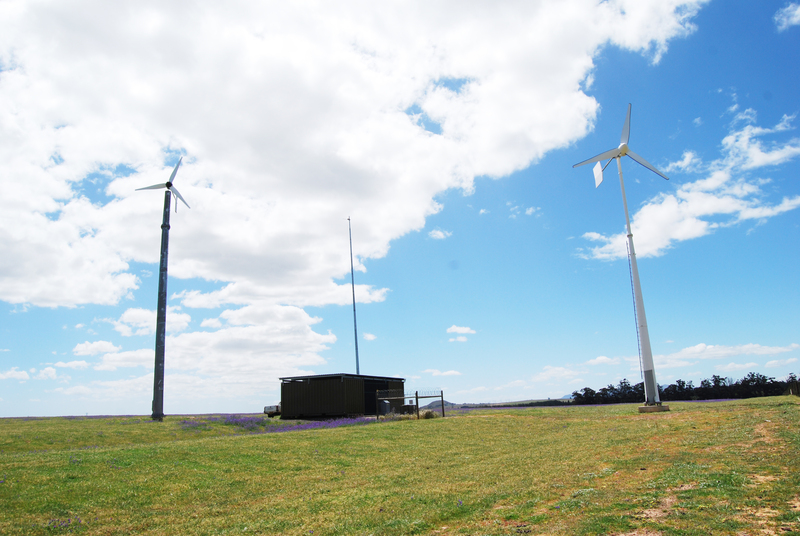 At present two 15 kW prototypes are being tested at a wind turbine testing facility at Mariendahl, one of Stellenbosch University’s experimental farms. The power generated by these generators is utilised by the farm. 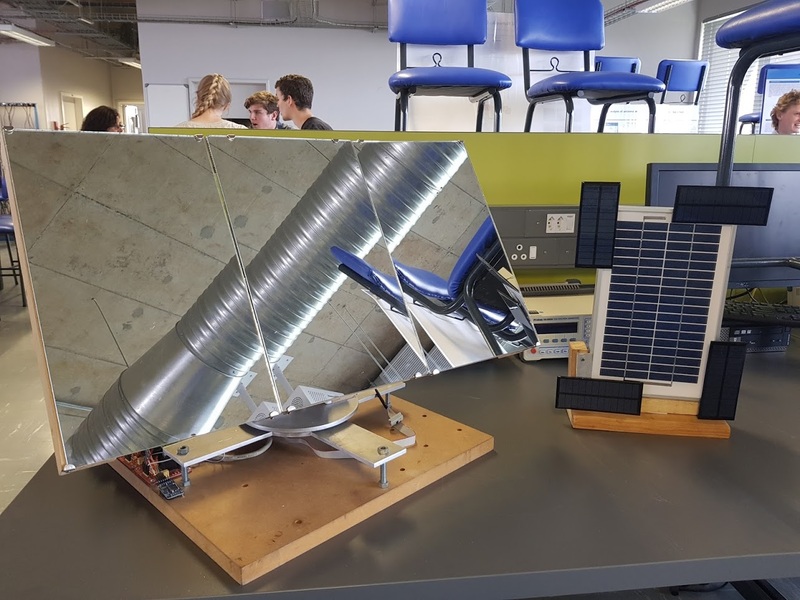 The technology has been patented and a spin-out company, SWET (Stellenbosch Wind Energy Technology), has been established to commercialise the technology. The main shareholders of SWET are InnovUS and the Technology Innovation Agency (TIA). Photograph: The wind turbine testing facility at Mariendahl. Photograph: Prof Maarten Kamper and Johannes Potgieter with the novel wind generator, each proudly displaying their certificate of recognition for their winning article.